Exchange operator Deutsche Börse has moved to bolster its index and risk analytics business through the acquisition of Axioma for $850 million. Deutsche Börse confirmed the deal, adding that Axioma will be combined with its internal index businesses STOXX and DAX to form a new company valued at €2.6 billion. The exchange operator described the new business a “leading buy-side player” providing analytics to meet growing demand. As part of the transaction, Deutsche Börse has also entered into a partnership with growth equity investor Generale Atlantic, which will invest $715 million into the new company. The funds will be used to finance the acquisition. The combined company will be led by Axioma’s current chief executive and founder, Sebastian Ceria, who will be responsible for strengthening the combined business. Ceria commented that the union of Axioma, STOXX and DAX under Deutsche Börse will create a company equipped to help clients capitalise on the trends shaping the investment management landscape. “The combination of STOXX’s indexing expertise with Axioma’s best-of-breed analytical capabilities in risk management, portfolio construction and performance attribution is expected to result in strong near-term revenue synergies and creation of a platform for future growth,” Ceria added. Several members of the management team at Axioma have also invested around $105 million in Axioma, meaning that upon closure of the deal, Deutsche Börse will own 78%, General Atlantic around 19% and the Axioma management team will own 3% of the newly formed business. The transaction is expected to close in the third quarter this year. 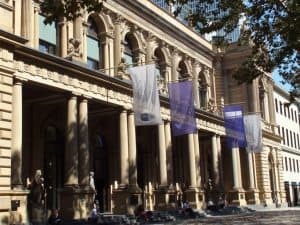 The post Deutsche Börse acquires analytics provider Axioma for $850 million appeared first on The TRADE.